Why is urban lighting important? 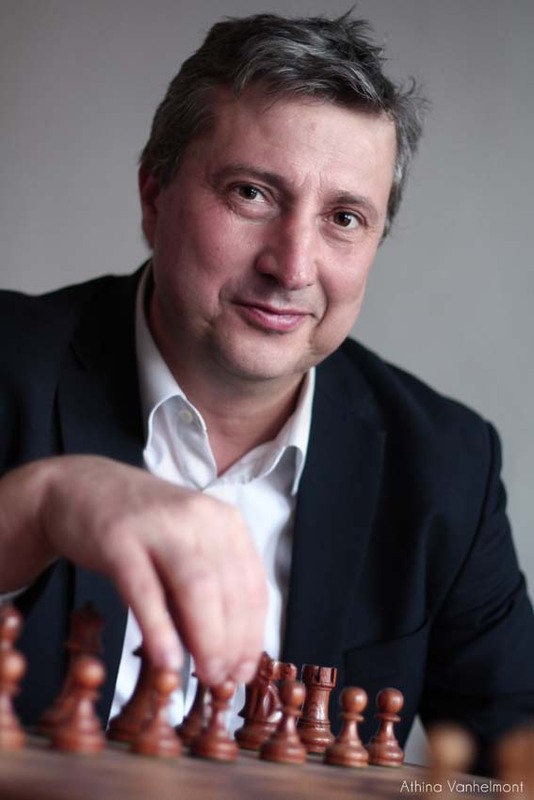 Ludo Van Campenhout: The city of Antwerp cherishes one of its own anthems « zie ik de lichtjes van de Schelde » (When I see the lights of the Scheldt). It is one of the folk songs that has been sung about the city since time immemorial. The lights of the Scheldt are the lights that every skipper sees first when entering the city. The view of the quay of the city is one of the most characteristic views of Antwerp, of which the Cathedral is an important part. As a port city and as a large metropolis of more than 500 000 inhabitants, Antwerp has always had something with light in that sense.Light brings life to the city and lures people out when it is dark. In this way, the city is enhanced in the evening both functionally and in terms of ambience and experience. Why did the City of Antwerp join LUCI? Ludo Van Campenhout: The City of Antwerp has a great ambition to be a real city of light. We have been developing a lighting master plan for the entire city since 2012. Over the last six years, the guidelines and instructions have focused on sustainable and efficient LED lighting in streets and squares, and an important start has been made to illuminate the heart of the city centre, especially focusing on enhancing architecture. We have appointed various lighting designers for this purpose. It was felt that experience and exchange of lessons learned is of great importance. The LUCI network provides an important opportunity to exchange experiences and to benchmark new applications. Through different LUCI publications and meeting opportunities, we get practical examples that provide new and inspiring insights. 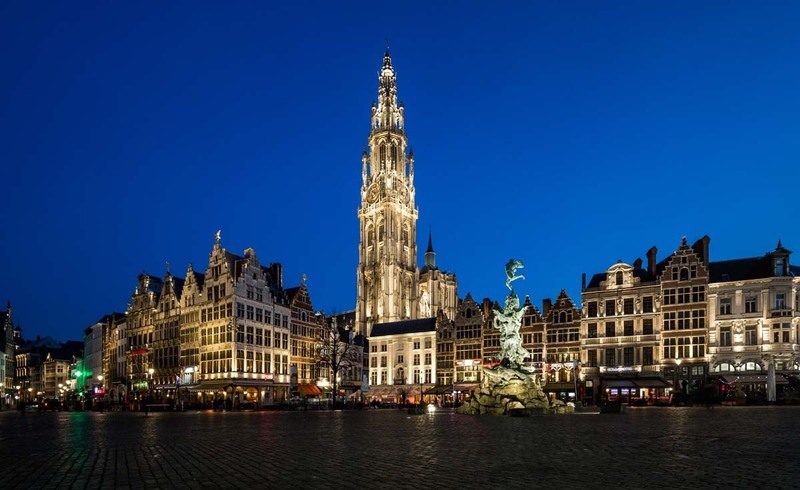 Antwerp is also investigating the possibilities related to new technologies on smart lighting and data sharing through a living lab in a smart city pilot project. What is special about lighting in Antwerp? Ludo Van Campenhout: The city of Antwerp is divided into 9 separate districts with their own managing authorities. By means of the lighting master plan, the city provides support and generic instruments that ensure equivalent illumination across districts, and subsidizes and supports the districts in their efforts to renew their lighting. By using sustainable LED technology, dimmed after midnight, over 50 % of the energy consumption is reduced with each new realization. Could you say a few words on the lighting strategy of Antwerp? Ludo Van Campenhout: The lighting master plan is the guideline for the future implementation of lighting projects. It describes three layers and their mutual connection and hierarchy: the public street lighting, the public lighting of the structuring axes of the city and the atmospheric lighting or architectural lighting. For the different zones of the city (residential zone, industry, parks, etc. ), guidelines and standard luminaires were decided. In the design of new streets and squares, these are included in the package of requirements. The importance of a place or building is determined via a matrix. A church or large square, for example, is higher up in the hierarchy than a house in a normal street. On the Grand Market, the town hall gets more light than the other historic facades. The Brabo statue has yet another lighting. In this way a harmonically illuminated evening scene is built up. 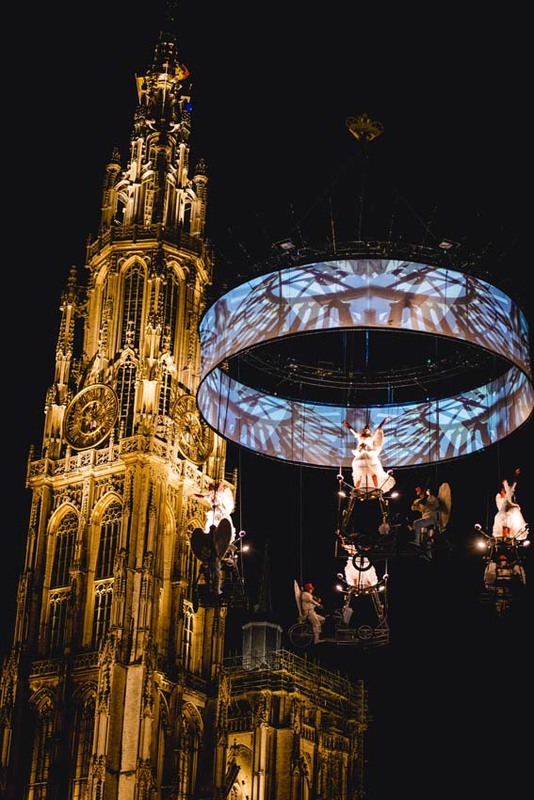 Ludo Van Campenhout: With the realization of the new lighting of the Grote Markt, the City Hall and the surrounding area, the city centre was liberated from the old yellow light. In 2018 the illuminated centre was expanded. The cathedral of Antwerp, with its 123 metre-high gothic tower, is the most important beacon and symbol in the cityscape. Lighting the cathedral in a contemporary, creative way with respect for the building became the new big challenge. After the appointment of a lighting designer and obtaining all the right permissions, the work was carried out in the summer of 2018. Since the festive opening on 1 September 2018, the 440 spots on the cathedral are now part of the over 100 facades that form the illuminated centre of the city. What are the priorities for the future? Ludo Van Campenhout: We will accelerate the implementation of the lighting plan further with emphasis on our iconic locations such as the Central Station and the Opera House and focus on energy-efficient LED lighting for public lighting of streets and buildings.